This opal is stunning and shows a gorgeous array of color. The center stone is an organic shape giving this piece a organic look . 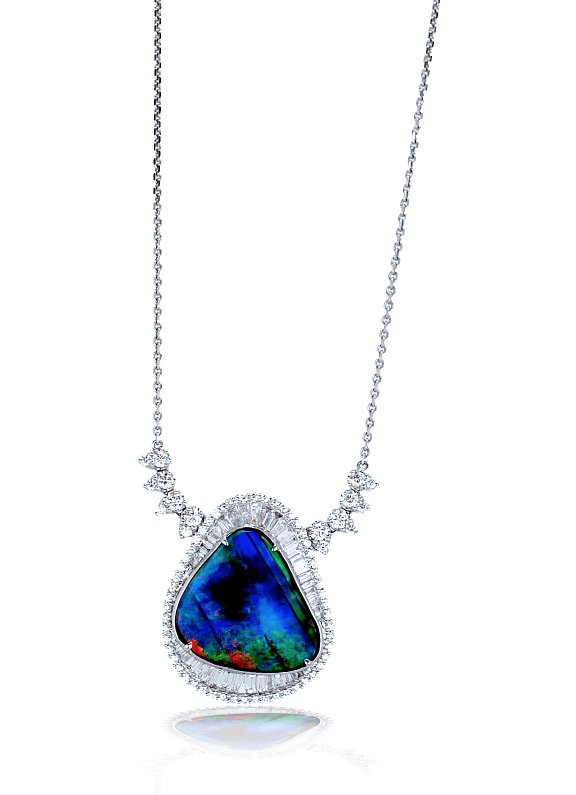 The center opal is accented by over 2.5 carats of tapered baguettes and over one carat of round brilliant diamonds. The diamonds are bright white and have amazing clarity and cut. This pendant is crafted from platinum. Pendants like this one can be found at our Newport Beach showroom located north of Laguna Beach and Corona Del Mar and west of Costa Mesa.